My favorite track by Tina and Her Pony is their mournful love song Ana Bai. The last time I heard them play it live was in someone’s living room in Taos, where Tina and Quetzal performed at their own going-away house party, along with Kirry Nelson, another graceful chanteuse in our town. They were headed out of Taos to tour “all over” and eventually they landed in Asheville, North Carolina. 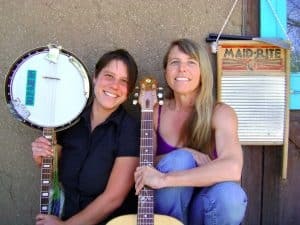 Tina Collins hails from Ohio originally and Quetzal Jordan from Florida, but between 2009-2011 they sequestered in Taos, writing and performing music while working at coffee shops, and for many locals they became our musical darlings. 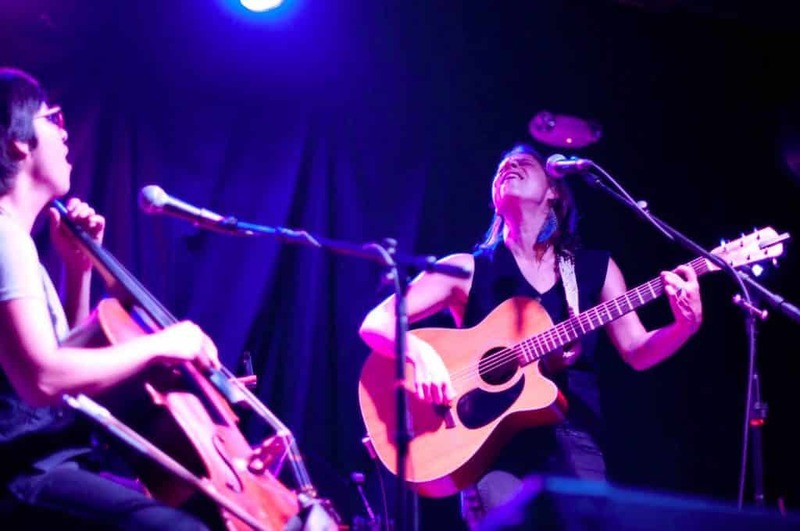 Five years later, and with a release of new music under their belts, Tina and Her Pony are making their first return to Taos with an evening of their much cherished Indie Appalachian Folk. The show on November 20th is presented by Goddess Fest Productions at Unity of Taos. Jenny Bird, another one of Taos’ beloved singer-song writers is Tina’s aunt, and the reason Tina first came to Taos in 2009 — that is, so that the two could work on music and to record. Jenny is the musical director of Unity of Taos, what she defines as a “A Community of Love,” in the building that was once Chamisa Mesa School on Blueberry Hill where she was a teacher for several years. Taos poet, songwriter, and social activist, Lyla June Johnston took the stage at Unity in June. Johnston is currently presenting at events in New York City for the Standing Rock Sioux Reservation against the Dakota Access Pipe Line, she has also brought her energy to North Dakota, with protests in prayer for the protection of the women of Standing Rock, the Water Protectors, and The Missouri River. It is all the more synchronous that Goddess Fest Productions has established a musical platform for the voices of the feminine and grassroots connection, in light of our country’s threshold of changes, and as we hold onto our humanity. And it becomes even more hopeful when we hear the sweet harmonies of two beautiful young women in our midst. Tina and her Pony return to taos on Sunday November 20th. The show starts at 5p, doors at 4p. Unity of Taos is located on 69 Blueberry Hill Rd. Taos. Don’t miss the REturn of Taos’ Own Indie Appalachian Folk Duo.